This term, in topic we are learning about Europe. 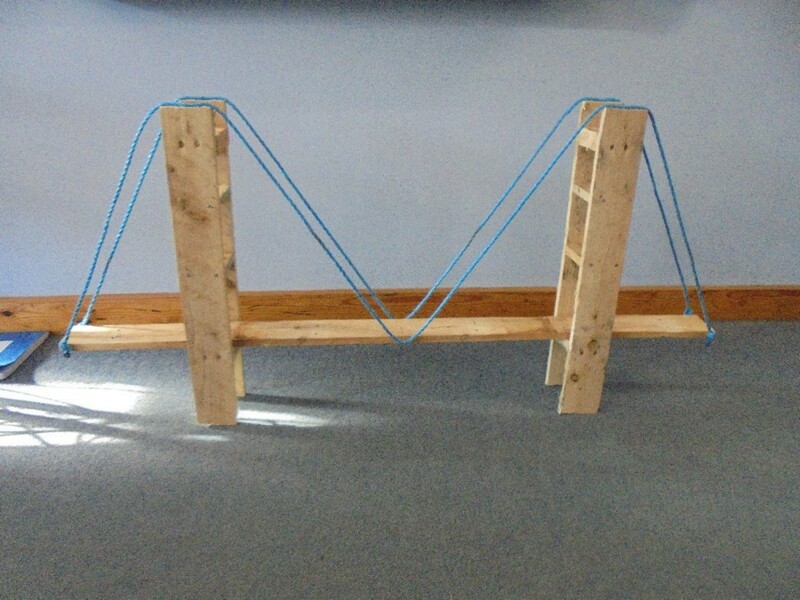 For this week’s homework the challenge was to choose a famous European bridge and construct it from any material! Hello! I'm Mr Anderson and I am the Year 4 teacher as well as Deputy Headteacher. I enjoy seeing children pass through education knowing that we have had such a positive impact on preparing them for their next stage in their school career. Outside of school, I enjoy playing cricket and golf. 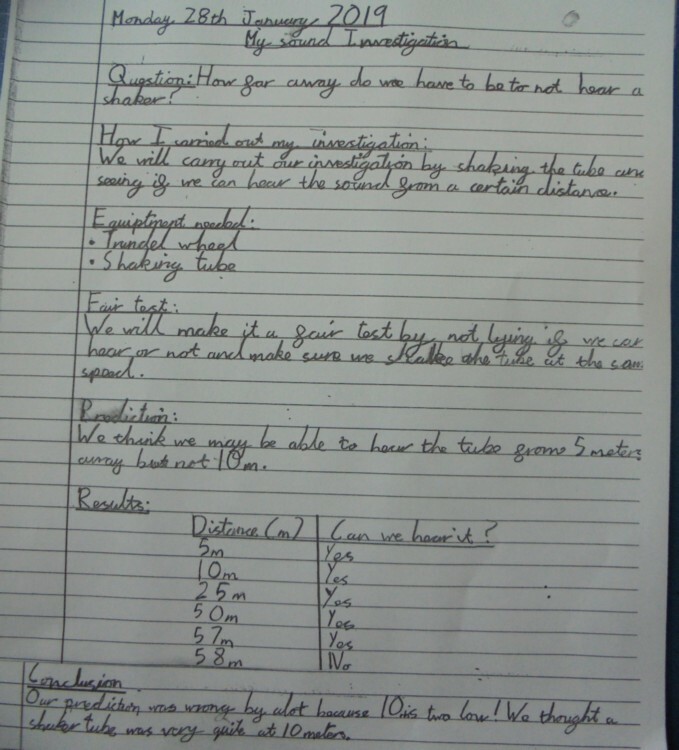 Over the past two weeks, in year 4, we have been writing a playscript, in groups of 4. We have identified the key features and used this knowledge to create our own fantastic playscripts. 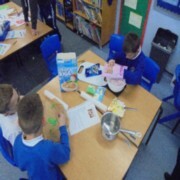 Today we performed the playscripts to the rest of the class and used a range of props. 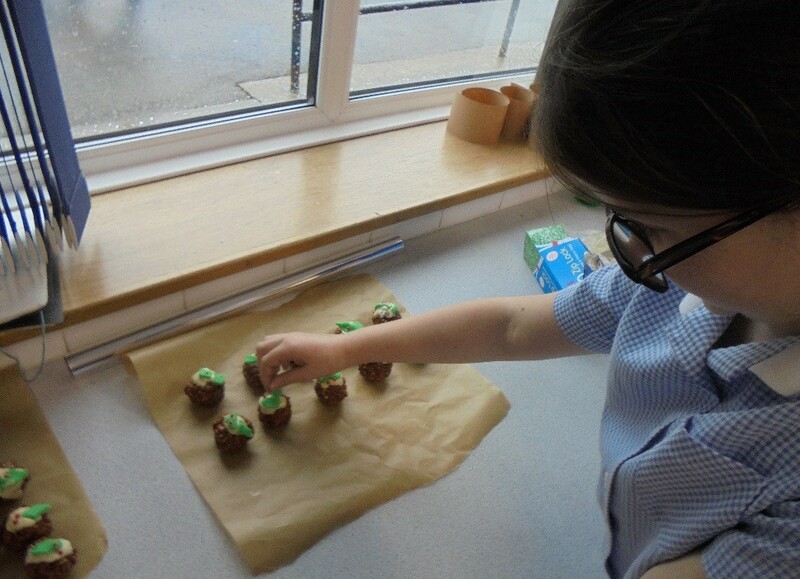 In maths, Year 4 have been exploring symmetry. They are learning to identify lines of symmetry on 2D shapes. They used a mirror to help work out the different lines of symmetry that a shape had. 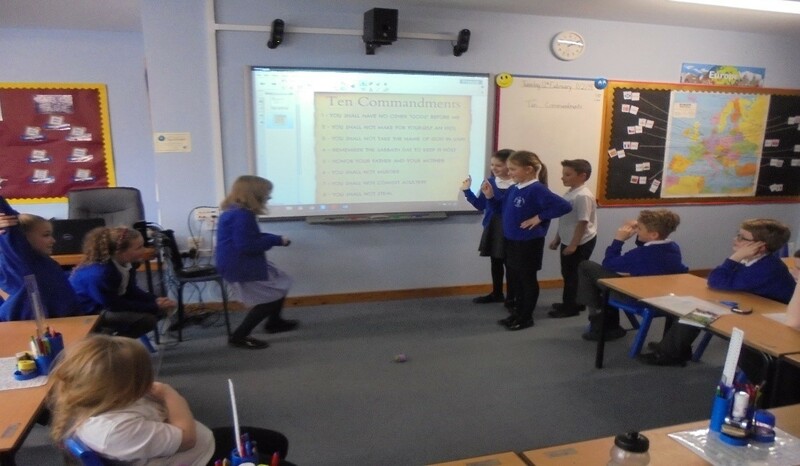 In R.E, Year 4 have been looking at the Ten Commandments. They thought about their meaning and how they help Christians to live a good life. 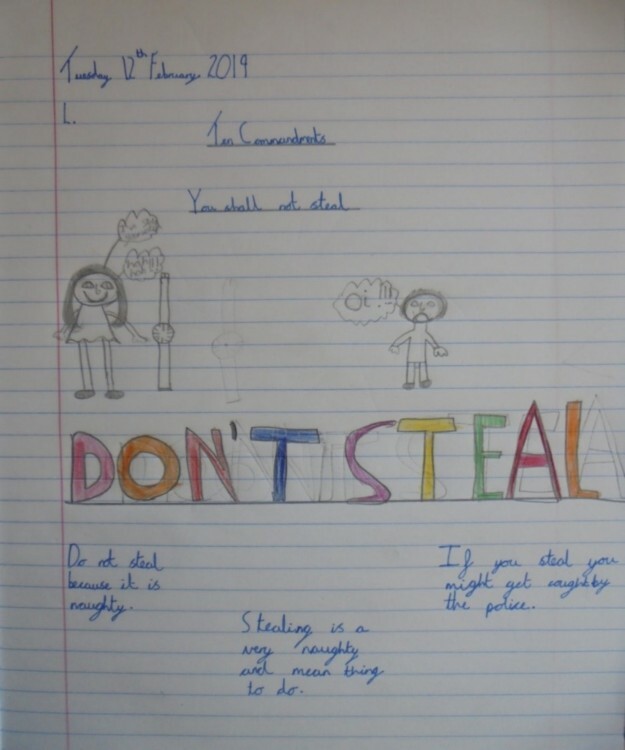 The children had a go at acting out one of the commandments to the rest of the class and then went on to produce a poster illustrating this. 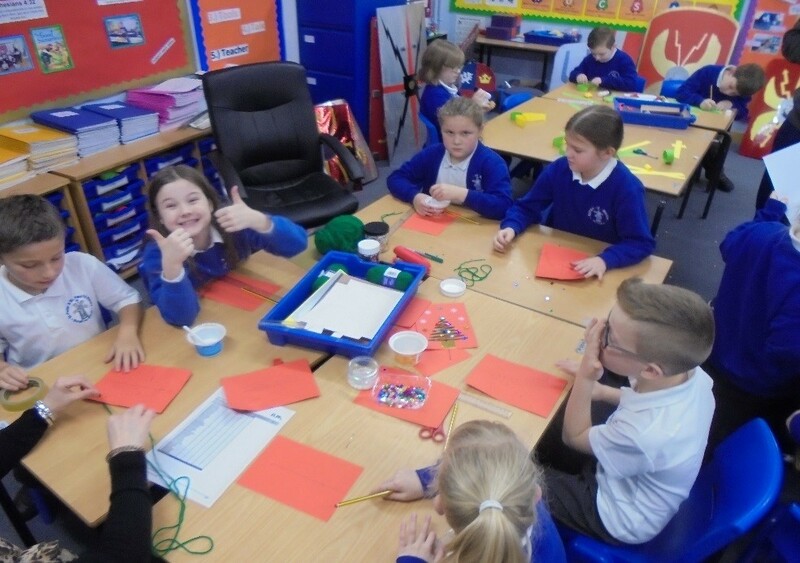 In science, year 4 are investigating sound. The children carried out an investigation to find out how far away sound can be heard. They planned what they were going to do, what equipment they would need, how they would make it a fair test and what their prediction was. 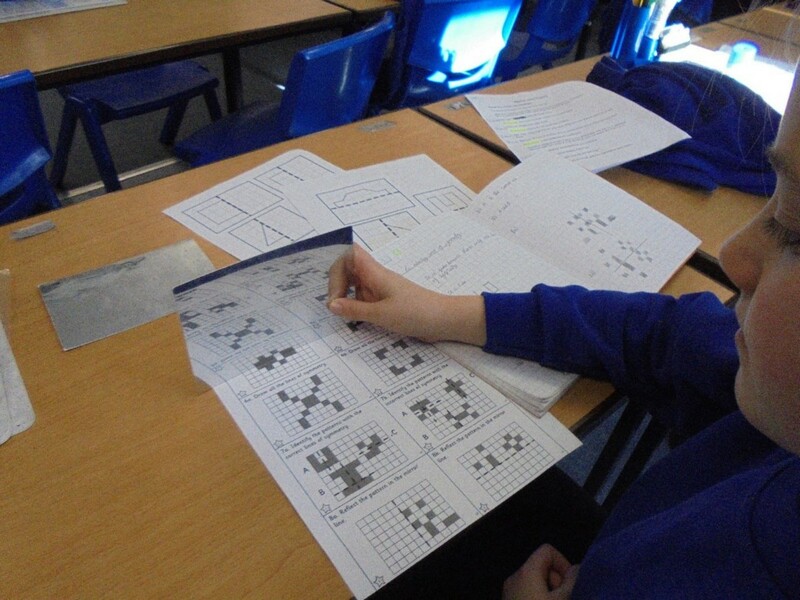 They then presented their work and findings neatly in their books. In English, Year 4 are writing about Roman gladiators. 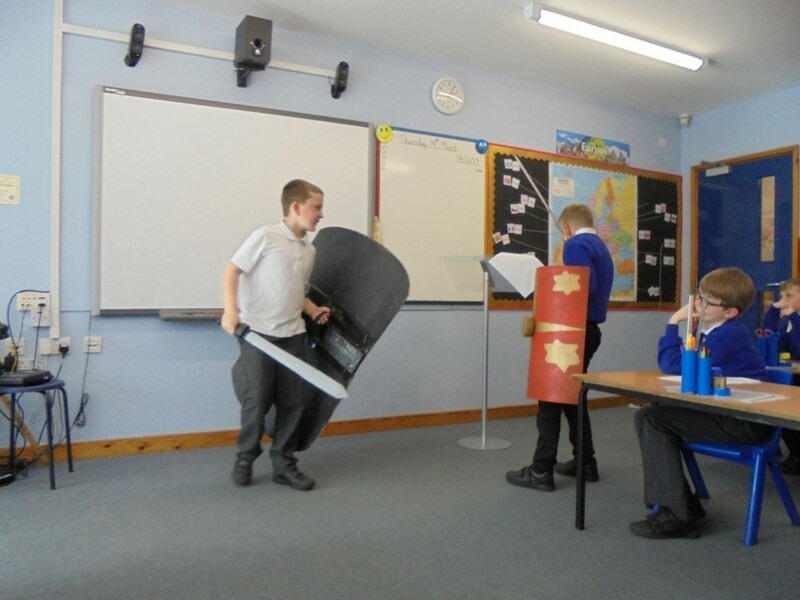 To help with their descriptive writing, they re-enacted a scene showing two gladiators in combat in the Colosseum. 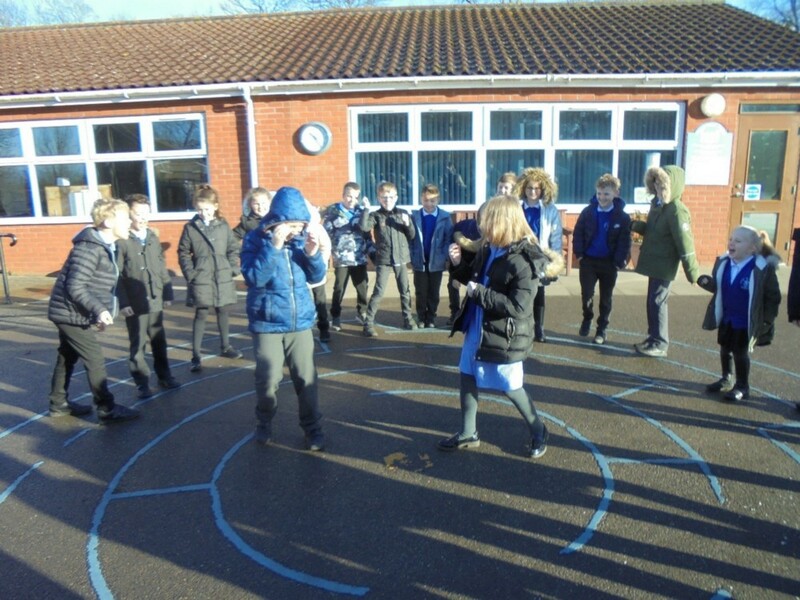 The children had to show how the crowd of thousands would have behaved when the gladiators were in the arena. They thought about what noises they could hear, what the crowd would be doing and how they would have felt. The wet weather did nothing to dampen the Christmas feeling in Year 4 on Art’s Day. 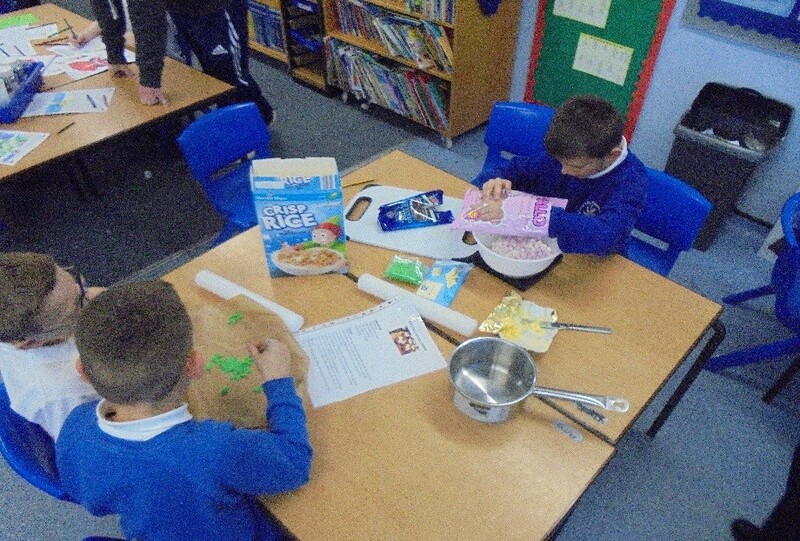 A fantastic day was had by all as the children spent the whole day sticking, cutting, cooking and creating to produce some fantastic Christmas crafts. A big thanks go to all the adult helpers who made the day possible. 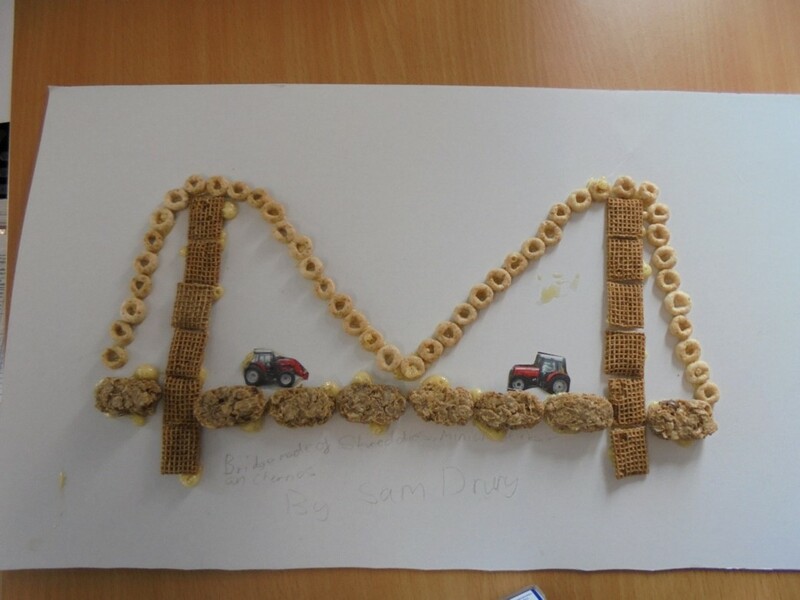 The children will be bringing their wonderful creations home at the end of term. 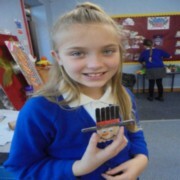 Year 4 have been learning all about the Romans and their way of life. 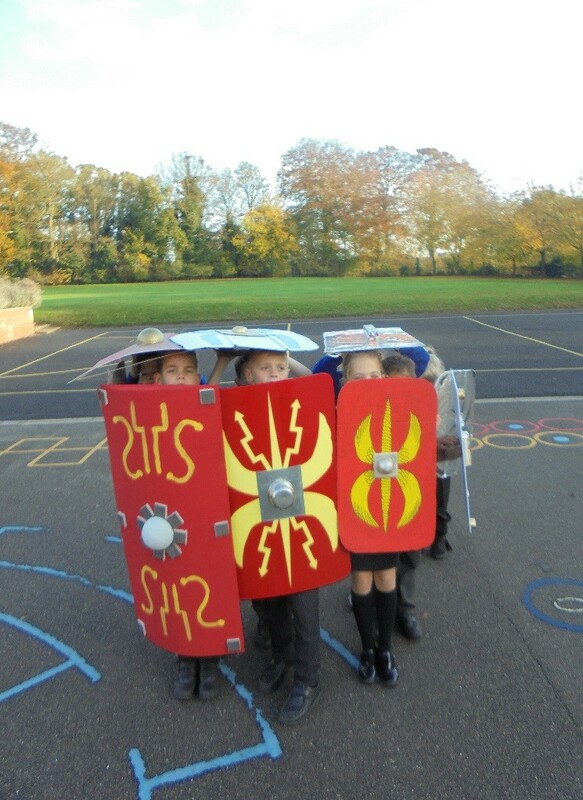 As part of their homework, they made Roman shields which as you can see were amazing! 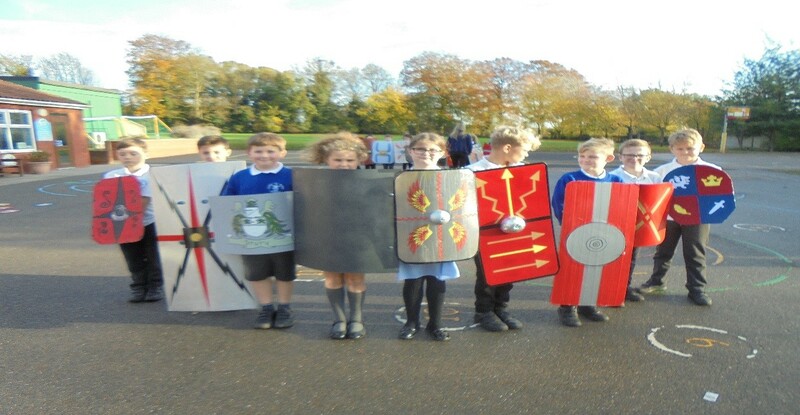 We used these to act out the various formations that the Roman army used. Make sure you ask your child all about the ‘Tortoise’ and ‘Pig’s Head’. 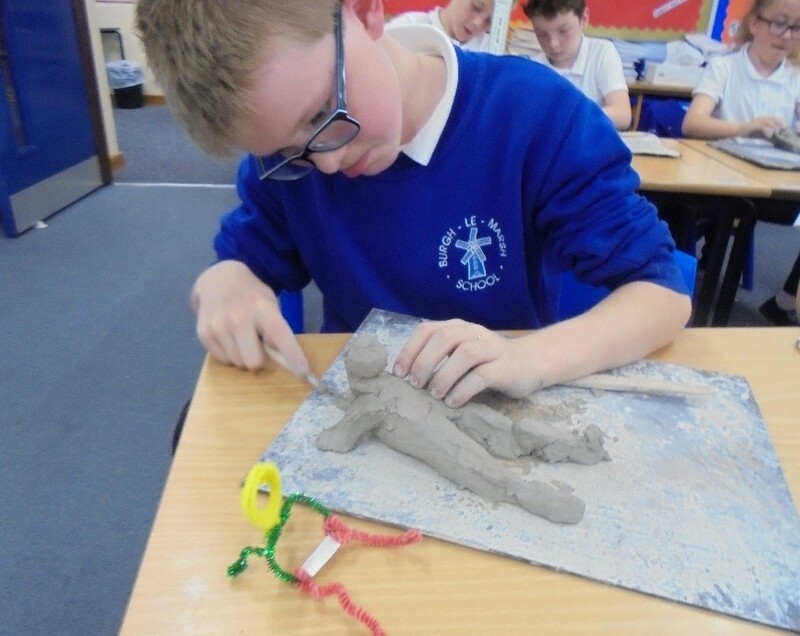 During this term in art, Year 4 have been looking at sculptures which show the human form. 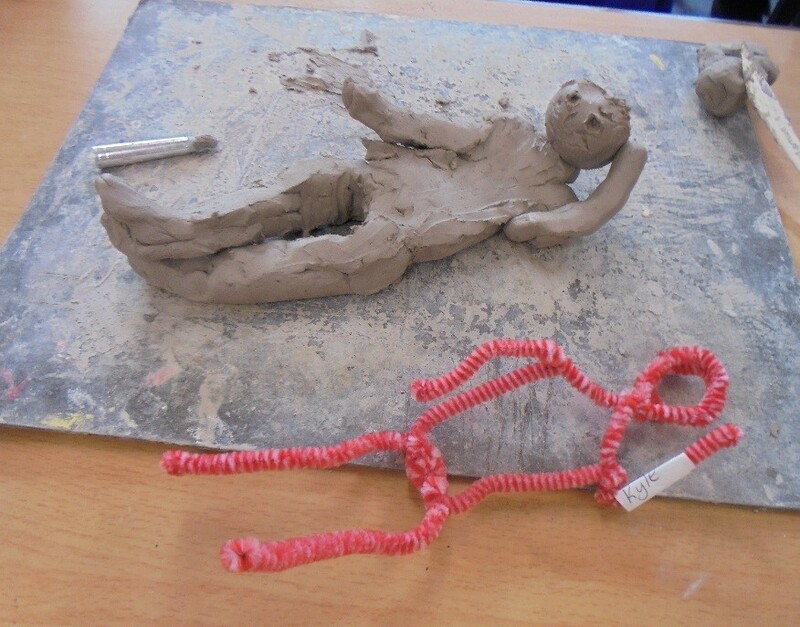 They used pipe cleaners to create a maquette which they then used to help them create their own sculpture using clay.